One of my favorite things about Disney Parks is the way they immerse guests in a story, often down to the tiniest details. The Disney Parks Blog is helping us take a closer look at details you might have missed in some of your favorite attractions or maybe even details you may have noticed and always wondered about! 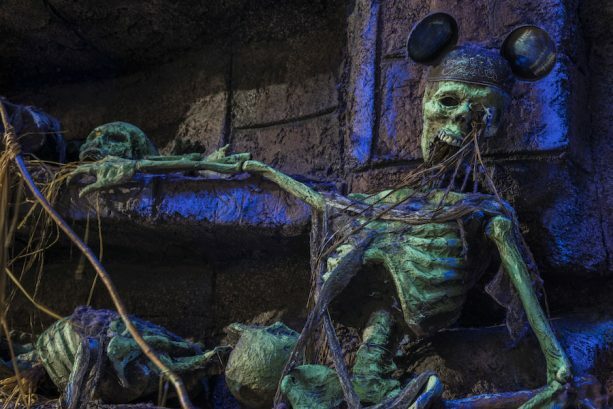 This time, we get to dig deeper with one of history’s most famous archaeologists at Indiana Jones Adventure queue in Disneyland park. 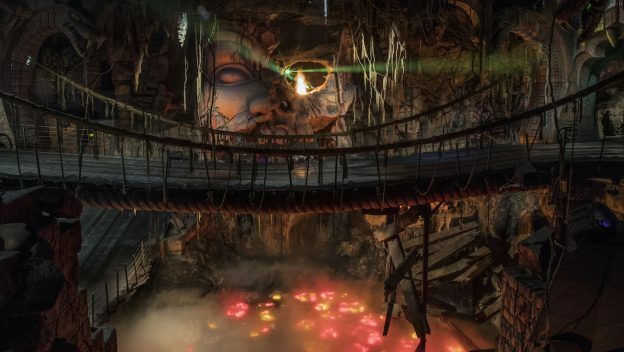 From the moment you enter the queue, Indiana Jones Adventure transports you to the past with immersive details and interactive elements. 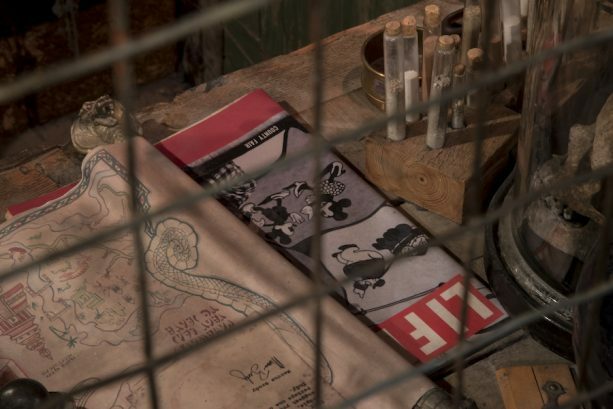 Take a close look into Indy’s office and you’ll find 1930s copy of “Life” magazine featuring Mickey Mouse and Minnie Mouse on the cover. There are also clues to the adventure ahead. 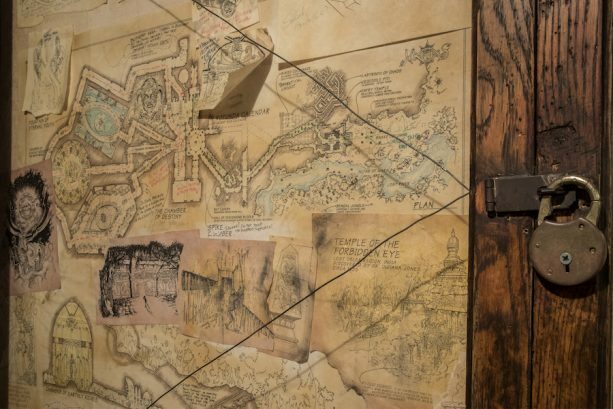 Next to his desk, you will find a bulletin board posted with correspondence between Indy and Sallah as well as a large map of the entire temple drawn by Dr. Jones himself. Depicted here are traps, landmarks and even a guide to which gifts can be found behind each of the doorways inside the Chamber of Destiny. The Temple of the Forbidden Eye is full of many more immersive details. The next time you make your way through the temple passageways, keep an eye out for archaeological tools, traps and even try to decipher some of the Maraglyphics carved into the walls. 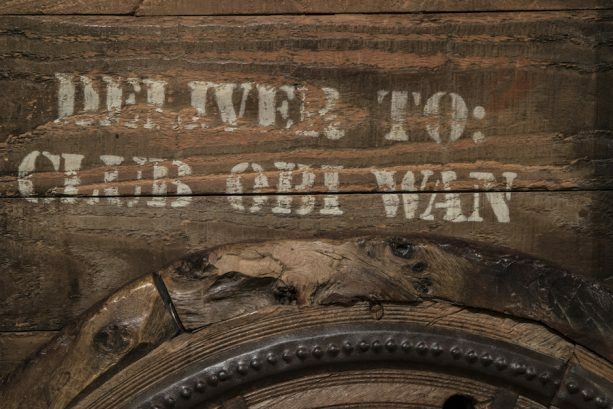 What is your favorite detail of Indiana Jones Adventure queue at Disneyland park? Tell us in the comments! This entry was posted in California, Disney, Disneyland Resort, United States and tagged Disneyland, Indiana Jones Adventure on May 14, 2018 by siera.